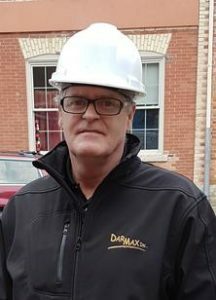 About Us - Darmax Inc.
Darmax Inc. has been caring for ICI and Multi-Unit Properties for over 30 Years. Through professionalism, great business ethics and pride of workmanship we give our clients the best possible service in the timeliest manner, treating all properties as if they were our own! Starting fresh out of high school, Darmax owner George Harrietha has spent his entire career assisting owners and managers of all types of properties with all aspects of maintaining their property assets. During this time he’s become a trusted “go-to” resource for his clients. That’s over 30 years of expertise & experience to guide you in the big decisions affecting your investments. Be it troubleshooting or big investments, George can be counted on for solid advice with your resources and constraints always in mind. We have used Darmax Inc. for many years on various properties mostly centered around Guelph and Kitchener. They have always provided great reliable service even in emergency situations such a a water leak or someone driving through a tenants window in the parking lot. Darmax has built many leasehold improvements at various sites for the landlord and the tenants. We have used Darmax on several occasions now and each time experience has been excellent - quality service, well priced and friendly staff.